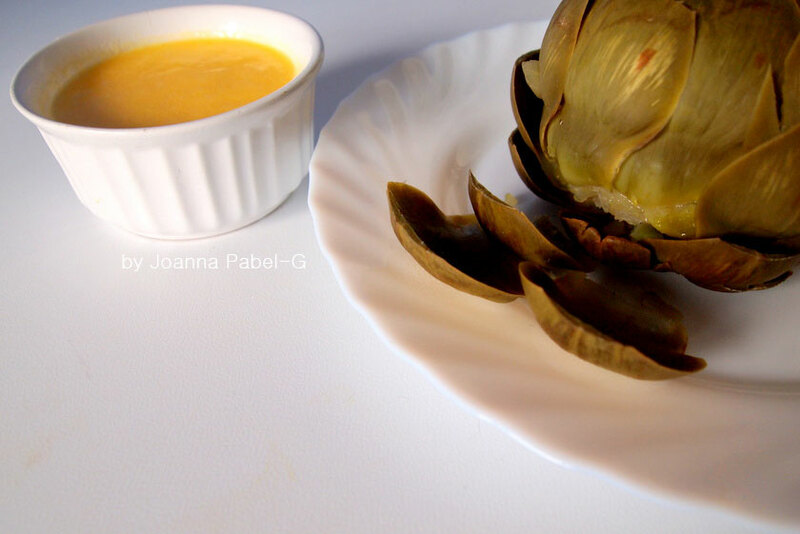 Be Creative Mummy / UK lifestyle Blog / Crafts: Artichoke and hollandaise sauce. I needed almost 6 years ;-) of knowledge of the plant to eat it. I lived for three years in the Netherlands, where this plant is quite popular, but I needed the next three years, that this plant as a food interested me. I thought this plant for the inspiration to photograph and drawing, not to eat. One day I saw her in the store and I wanted to eat it. I remember how the Dutch served this plant and I started to look for an easy recipe. How to cook an artichoke? In a large pot of water, add the juice of half lemon and a pinch of salt. Cook them 25 - 60 minutes or until you can the outer leaves can easily be pulled off. Cooking time depends on how large the artichoke is. 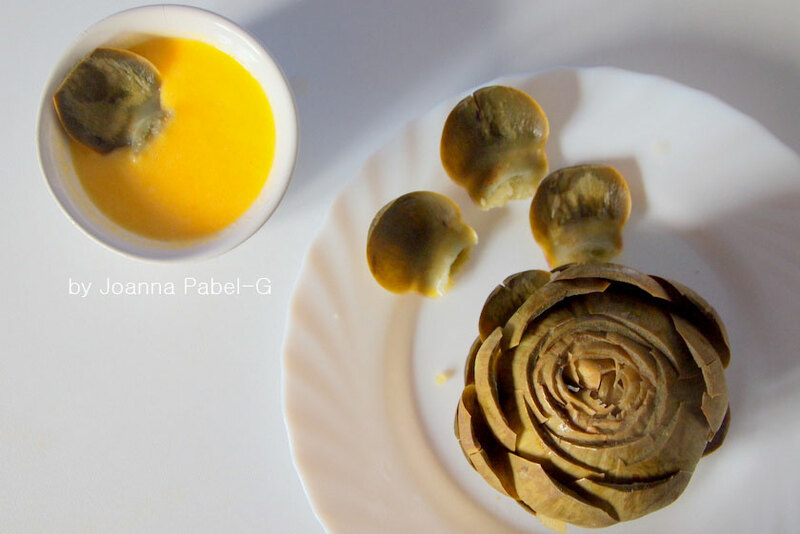 If you've still wondered how to cook and eat an artichoke, I found a blog that is really helpful, here are the steps. Add the egg yolks, lemon juice, salt into your blender. Blend the egg yolk mixture until it lightens in color. Add your melted butter (let it cool a little bit before adding) and blend together. The sauce is delicious. It's great for fresh salads. Na pewno spróbujemy. Niby taki prosty i nic tam specjalnego nie ma to i tak oszaleliśmy na jego punkcie. Czegoś takiego nam brakowało do sałaty i różnych innych sałatek. I think I still need a few more years! One day I will buy one. It seems so difficult to cook, but I guess it isn't really. Yum yum yummy! I love artichoke but I've never made it myself. It was my first time. It's quite easy. My son was just asking me to make artichokes. They are loved in our home! Thank you for sharing at Fluster's Creative Muster. 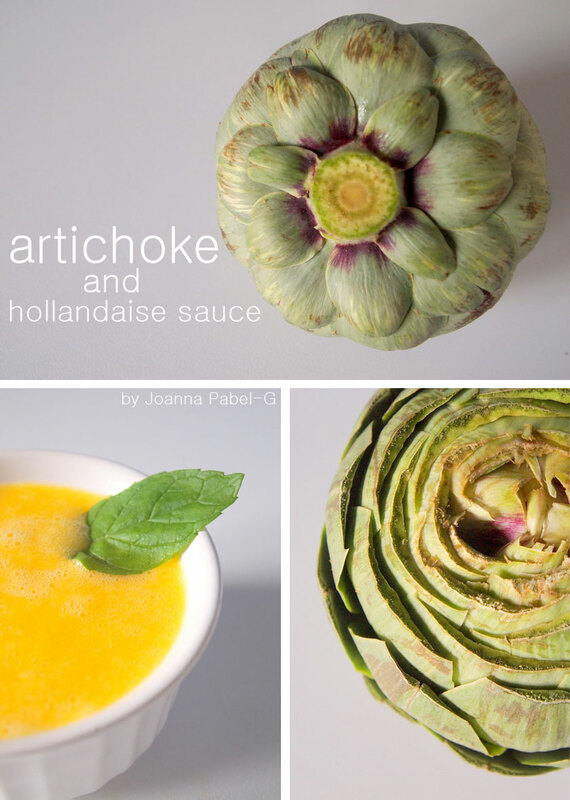 I can't believe I have never tried Hollandaise and Artichokes together - what a rockin' combination!! Can't wait to make this for the hubby and I. :) Thank you for linking up at Tasty Tuesdays. Such a lovely combination! 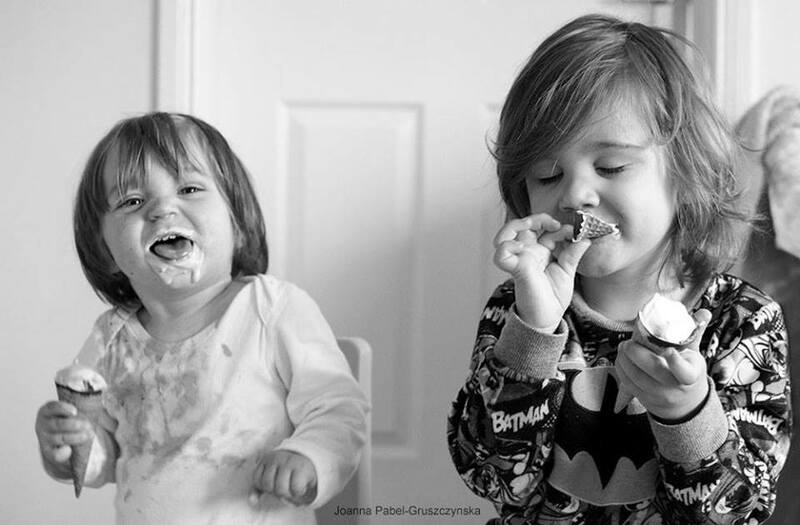 :) Thank you so much for linking up with me this week at Tasty Tuesdays! I’ve pinned this & shared it with my followers! I have never tasted artichoke, weird, maybe I should change that!